I am not a crafty person. I don’t craft, and especially, I don’t sew… not very well and only with great muttering and gnashing of teeth. And yet, when my parents came to visit last summer, they brought with them a box of my high school papers (they are cleaning out their storage space) assorted other items …and the pieces of The Quilt. Mom originally started making The Quilt over 20 years ago, and it was supposed to be a high school graduation/good luck in college present. But it wasn’t quite finished in time. It also wasn’t quite finished yet when I graduated from college, when I got into graduate school, when I graduated from graduate school, when I got my first “real” post-graduate-school job, and when I got married. When she asked me what I would like as a wedding present, I (jokingly) said that I would like the quilt, but the thousand-eye milk glass pitcher (from the 1880’s) which I had long admired would also be nice. I got the pitcher. Giving me the pieces was a major concession on my Mom’s part, and an admission that she was never going to finish it, and that it was up to me to decide what to do. I decided to finish it off. Making more squares to fill out the hidden wells pattern wouldn’t have worked out well. 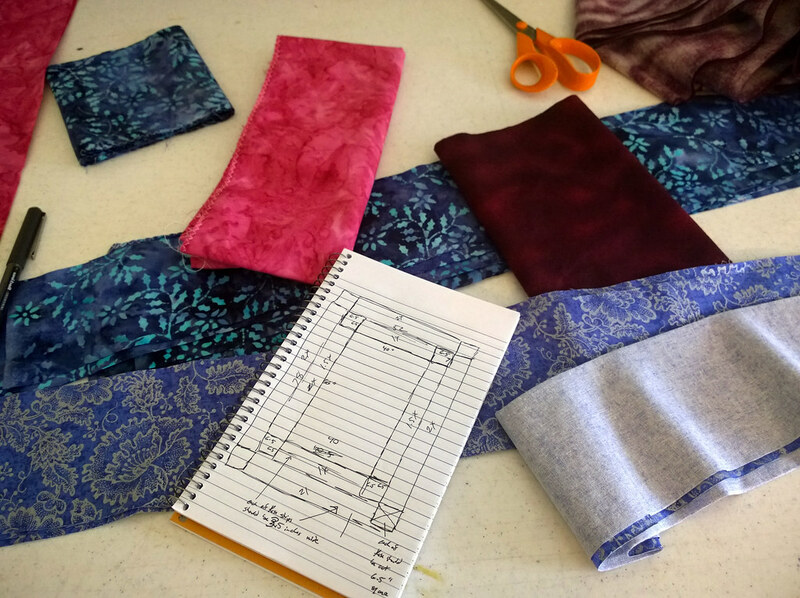 There was no way to get more of or to match fabric that had been purchased 20 years ago, and trying to integrate new fabric into the pattern wouldn’t have looked right. So I decided to just finish sewing together what squares I had, and then do a double picture frame style border. John helped me to pick out new fabric for the border, and over Thanksgiving I spent a lot of time in the sewing room working on the border and the quilt top. 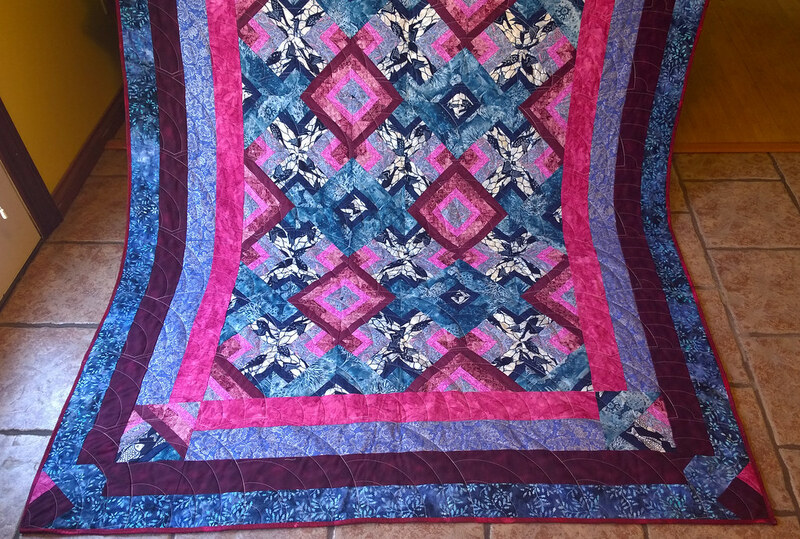 Sarah knew someone who had a quilting business and a longarm quilting machine, so I was able to outsource that portion of the work. 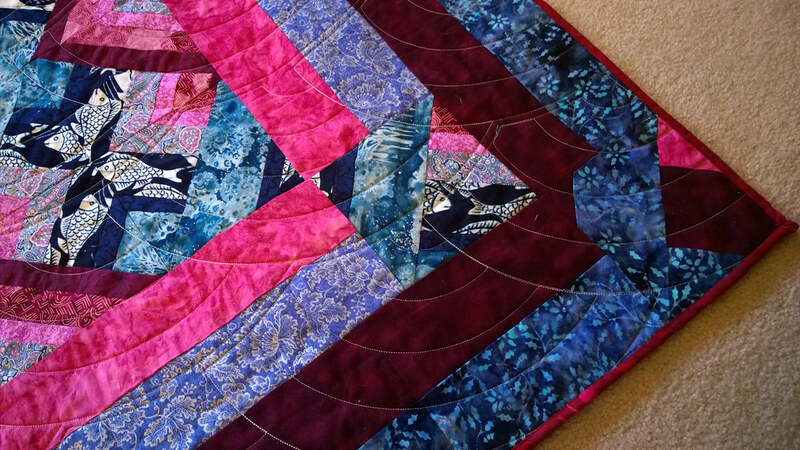 In early December I went over to her place with the quilt top, the backing, and the batting, and we looked over quilting patterns until I found the one I liked that worked well with the fabrics in the quilt top. 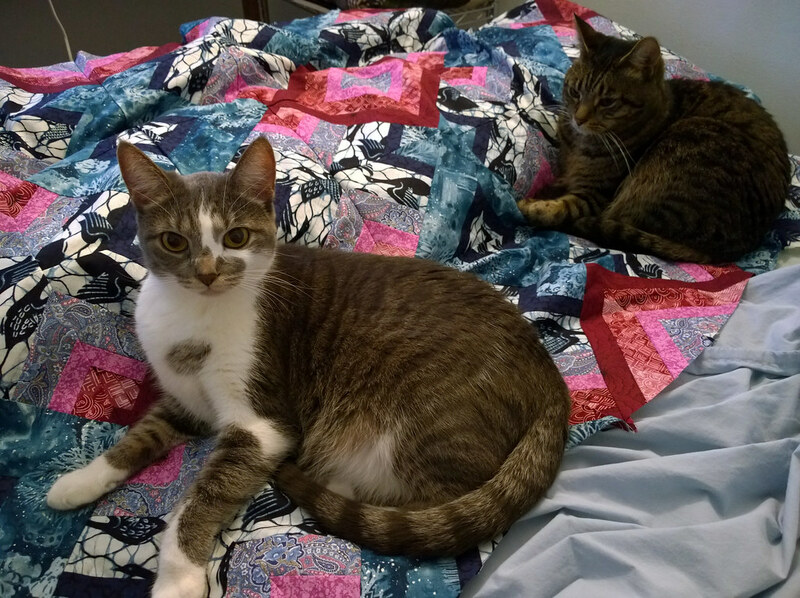 A couple of weeks ago she contacted me to let me know that the quilt was done, and that I could come pick it up. 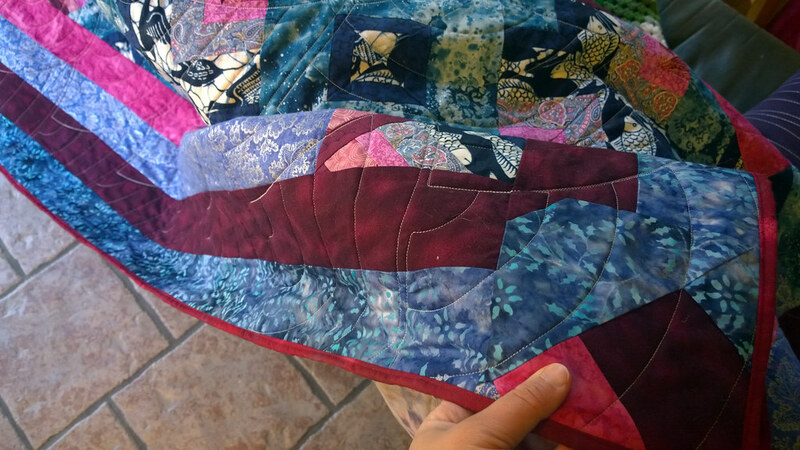 Fortunately for me, when I stopped by to get it, she also went over what I would need to do to bind the edges and finish off the quilt. It is a little smaller then a standard double-bed size. I did mess up the binding a little bit in one part – I flubbed turning the corner – but I don’t think that it is that noticeable. I think that it looks pretty good.